A long time ago in a galaxy far, far away…. Karen and Nancy put together a book list for romance titles! 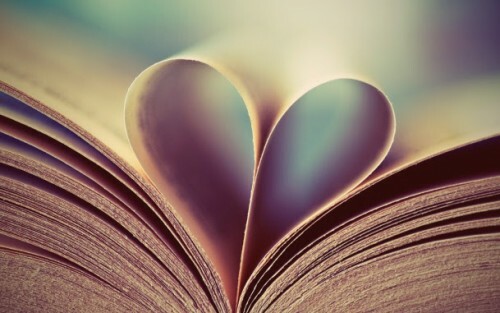 Okay, so there are 20 books on this list and I know that’s a lot, but don’t feel like you have to read them all before Valentine’s Day — romance and crush-worthy books are great all year-round! Have you read any of these books and fallen in love with them? Leave a review below! Nancy loves reading about love. 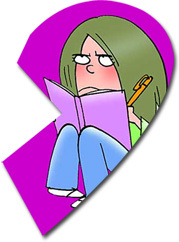 Book idea: A book about a girl writing a blog entry about a girl who loves reading about love. This book is so amazing and its sad too. I cried at some of it. This book also has a code type thing almost at the end. Always its really good you guys should read it. Hermione is the ultimate straight-A — I mean, straight-O student — and Greg’s slacker attitude would definitely annoy her to no end… Plus, Greg probably would get pretty bored unsuccessfully trying to convince her to collude on his get-famous/popular-quick schemes. Also, I have a feeling that Greg, upon discovering Hermione’s real magical abilities, would first completely freak out… and then try to get Hermione in on one of those get-famous/popular-quick schemes. 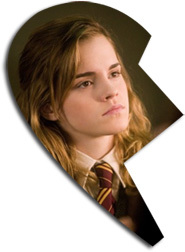 Which, as we already covered, Hermione would not approve of. 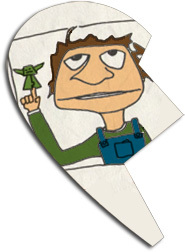 Dwight: An oddball who gives sage but cryptic advice from an origami puppet of a famous but super nerdy movie. Jamie: Busy dealing with friend Isabella and frenemy Angeline, and middle school in general. Dwight’s enigmatic behavior would drive Jamie nuts; Jamie’s neurotic behavior would drive Dwight (quietly) nuts. Kristy is athletic, outgoing, and slightly bossy. Okay, she’s actually very bossy. 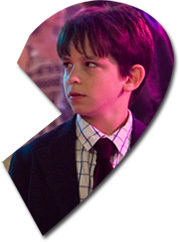 And Colin, when we first meet him, is an equally bossy, spoiled, sickly, bitter child… and (spoiler alert!!!) even though he eventually gains his physical strength back, his bossiness level still stays pretty high. They would end up arguing all the time! It’s not just because their species are incompatible! Hawkfrost is cunning, mysterious, and a fighter of the RiverClan, while Harold would just want to stay out of trouble, curl up by the fire at home and tell a good story. They are just not meant to be. But who knows, maybe opposites do attract? Leave other doomed cross-book romances suggestions in the comments! Nancy’s current doomed-to-fail relationship is the relationship she has with her ever-growing pile of laundry. She really wants it to go away but it insists on lying around her apartment. Happy Valentine’s Day! Over the weekend, we posted our valentine to you guys in the form of a romantic(?) ballad. Today, I’m determined to spread the love EVEN MORE — by fixing up kidlit characters I think would make good couples! So what if they are in different books from each other? Hey, love conquers all, right? 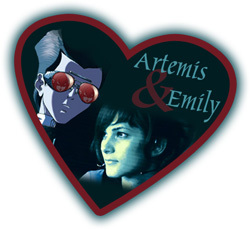 It’s hard to imagine Artemis falling in love, but Emily is just as much of a tech geek as he is, so I think they’d have plenty to talk about. They could spend their dates hacking — so romantic! Plus, Emily is a no-nonsense kind of gal, which would be important to keeping Artemis in line! 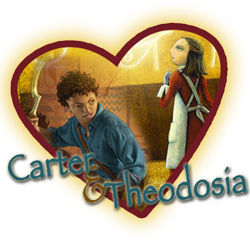 Sometimes blind dates can be so awkward, but I’m pretty sure Theodosia and Carter could spend all evening swapping stories about their various adventures thwarting ancient Egyptian evil forces. Talk about a twosome with a ton in common — even if they do live in different countries, not to mention different centuries. But time and place are flexible in the Duat, I say! They say the way to a man’s heart is through his stomach. Well, I think that’s probably true of Claudia, who stashes junk food all over her bedroom and has a soft spot for all things chocolate. 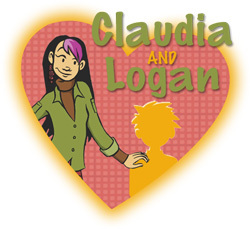 I think Logan’s gift for designing and constructing fantastic new candies would be a surefire bet for wooing Claudia through her sweet tooth! So now that I’m done playing matchmaker, I’d love to hear YOUR thoughts? 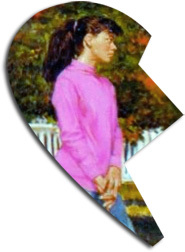 Are there any kidlit characters you think would make good couples? Leave a comment with your ideas! Ron and Hermione are definitely Karen’s favorite couple who are actually in the same series. Ginny and Harry? Meh. First romance, lifelong romance, even anti-romance — we’ve got it all in our latest podcast, all about (you guessed it!) 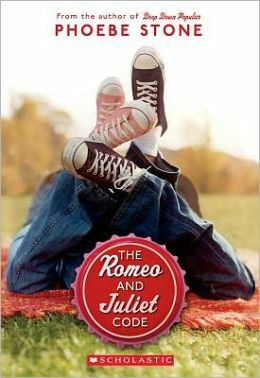 books involving romance. PLUS, how Nancy informed boys she liked them as a kid, and why Karen is single (according to her, at least). We reveal our literary crushes! Ooh la la! And in case you missed it, we’ve also got a very BIG announcement: Up until now, we’ve focused on one theme per week. But we’ve heard from the masses (that’s you!) that one week is just not enough to really get into a theme. So from now on, all our themes will be two weeks long. Starting… NOW! And don’t forget: our next theme is food! (Nom nom nom…) So check out these delicious books involving food and watch this Mystery Book Theater that will definitely get your stomach rumbling! They don't look too happy, but they're in love. Trust me. 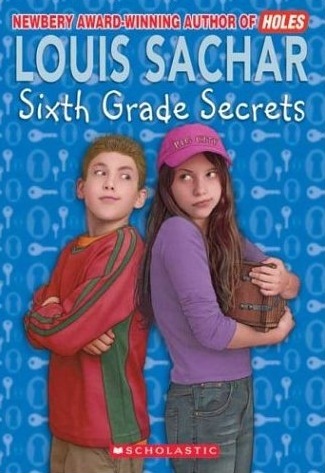 Gabriel, from Sixth Grade Secrets by Louis Sachar: Gabriel has a crush on Laura Sibbie. 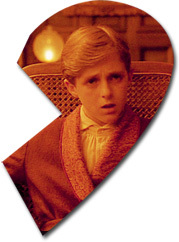 And even though he’d never admit it, his secret crush starts a war of secret clubs in the entire sixth grade class. Ron Weasley from the Harry Potter series: I have a soft spot for the goofy, awkward guys, and Ron is definitely goofy and awkward. And even though he puts his foot in his mouth quite a few times (those birds Hermione sent attacking were well-deserved), I just want to pinch his freckled cheek. Mr. Darcy from the classic Pride and Prejudice by Jane Austen: Even a dorky first name like “Fitzwilliam” doesn’t stop the ladies from swooning at the sight of this smoldering, brooding gentleman. So those are my literary crushes. Leave a comment if you’re willing to reveal yours! P.S. You’ll notice that Edward Cullen is intentionally not on this list. I’ll just leave it at that. Despereaux is a mouse living within the walls of a castle, and a shame to the mouse community. Roscuro is a rat living in the castle dungeon. He too is different from others. But one night he changes. 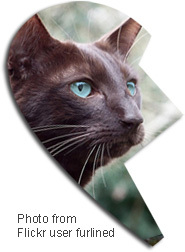 Mig is a girl who lives with her cruel owner. She is nearly deaf. She wants to be the princess, but nobody cares of her. Pea IS the princess. 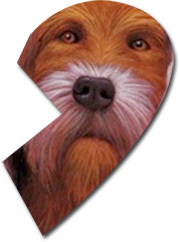 She is adored by Mig, honored by Despereaux and hated by Roscuro. Of course, they’re all destined to meet, in ways not always good. Who is to be the hero? This book is one of the best books I’ve read. I didn’t know that a story about a mouse could be so intriguing and serious. It’s no surprise that it was a Newbery Honor! Stop whatever you’re reading right now and start reading The Tale of Despereaux! This book trailer for Stargirl was originally the Mystery Book Theater video for our Romance theme. For more on Stargirl, check out our “Love Is All You Need” podcast. Imagine you’re just a regular high school guy, going about your normal life. And then one day, a new girl shows up at school. She dresses strange, she plays the ukulele, she serenades people in the cafeteria — and she’s crushing on you. Welcome to Leo’s experience in Stargirl by Jerry Spinelli. If you’ve read any of these, send in your book review. Or send in a review of your favorite book involving romance! UPDATE 2/16/10: We revealed the answer to our Romance Mystery Book Theater in the “All You Need Is Love” Podcast, so take a listen if you want to know the answer. Or just tune in if you want to hear how Nancy used to behave around boys she liked (OMG, soooooo embarrassing! ).